Firstly, thanks to all of you who supported our two stories on Spot.us -- these two feature pitches have been fully funded by the community! Now, we have a third pitch about community mobilizations against deportations. 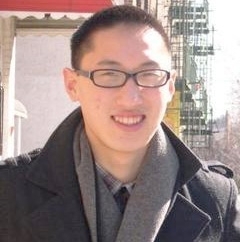 Our writer, Puck Lo, focuses on the case of Steve Li. Steve Li, a City College of San Francisco nursing major who wears his hair in a fauxhawk, is lucky. Last September the lanky 20-year-old's life devolved into a nightmare when immigration agents came to take him and his parents away for overstaying their visas. Li was detained and unable to reach anyone for a month. But his friends, using Facebook and drawing on the resources of Asian American activists and institutions in the Bay Area, mobilized around his plight and convinced a state senator to intervene in and stop his deportation just hours before Li's scheduled [departure] to Peru. Now, his deportation delayed for at least one year, Li is trying to put his life back together and figure out what's next. And some context: "As deportations hit record highs -- more than doubling over the last decade and hitting 392,862 in 2010 -- Asian and Pacific Islander activists are organizing their communities to keep their loved ones in the US and push for comprehensive reforms that would keep communities intact." Please go here to take a survey or two to support this story. The survey will only take a few minutes and will earn $5 toward this story. (Click on "Free Credits" and you will be guided through the process). Or, if you're short on time, support by donating money. We have barely began publicizing this third pitch, and the story is already 76 percent funded! We just need a little more help now. One upside, among many, of community-funded journalism is that the stories will be distributed in our beautiful (am I allowed to say it?) print publication, as well as online and on Spot.us so that it can reach more people. All of the three stories on Spot.us will be in our April issue, and also online beginning in May. Thanks in advance for your continued support!